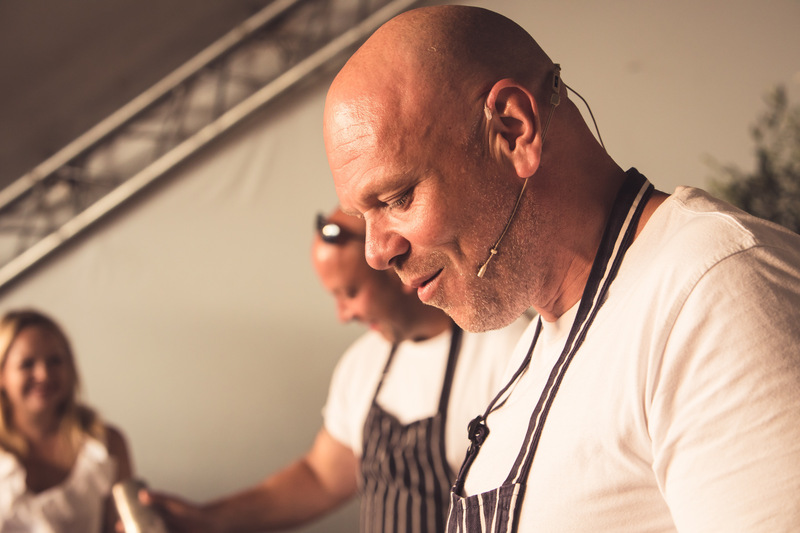 Tom Kerridge’s awesome festival Pub in the Park arrives in Chiswick in September. General tickets are now on sale. Pub in the Park is a party with a relaxed and intimate feel, supporting and celebrating local talent, as well as presenting some of the biggest names in food and music. Remember House Festival at Chiswick House, well this sounds similar. At each venue, there’ll be Michelin-starred and award-winning pubs and restaurants serving tasting dishes showing their signature style. Every event will celebrate the very best food the country has to offer, combined with great live music, chef demonstrations, top quality shopping and other festival fun. Pub in the Park Chiswick will see Kerridge’s own pub The Hand & Flowers as headliner as well as a number of sensational support-acts in the pub arena including Angela Hartnett’s Café Murano, plus hand-picked charming locals that punters will know and love.